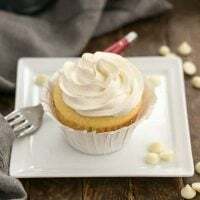 These dreamy Ghirardelli Vanilla Cupcakes with White Chocolate Buttercream Frosting became a family favorite since the first day I baked them! The decadent swirl of Swiss Meringue icing is hard to beat! It was Bill’s birthday earlier this month. Despite my intent to freeze my age at 29, Bill will not let a birthday or anniversary go by without a celebration. So we made the best of it, and, of course, the birthday boy got to pick dessert. This year, these Ghirardelli Vanilla Cupcakes with White Chocolate Buttercream were his selection. It’s the Swiss meringue buttercream that won him over nearly a decade ago. Sugar and egg whites were whisked over a double boiler, then beat till the mixture reached room temperature before melted white chocolate and loads of butter was whisked in. 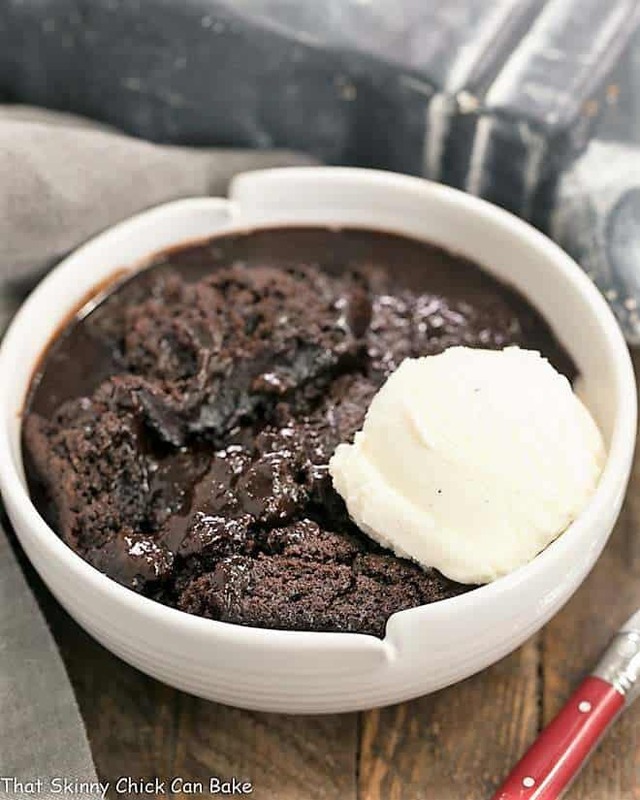 The recipe originated from The Ghirardelli Chocolate Cookbook, a souvenir from a family vacation in San Francisco. As I was flipping through the cookbook in Ghirardelli Square, I was encouraged by surrounding chocoholics to make the purchase. I probably make cupcakes less than 6 times a year. So when I do, they are devoured quickly. I’m more of a cookie eater, but the family adores these mini-cakes piled with fluffy frosting. And I must admit, I do lick the frosting bowl clean. It is one exquisite treat. Since the child who is quite ho-hum about white chocolate happened to be away at college, there was nary a gripe about these babies. And I didn’t miss my post dinner cookie one bit. 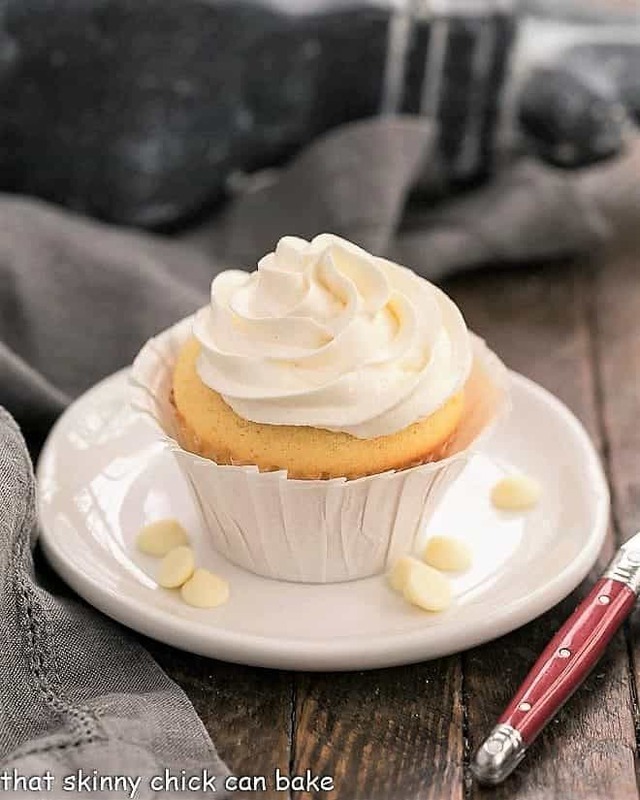 Share these Ghirardelli Vanilla Cupcakes with White Chocolate Buttercream with the white chocolate lovers in your life! They’ll give them rave reviews, I promise!! Like with cakes, there are the typical tips to make the best cupcakes. Reading through the recipe directions a couple times before starting always helps, especially with recipes incorporating unfamiliar techniques, is always recommended. Ingredients like eggs and butter should be at room temperature most times. In this case, the egg whites will be heated, so they do not need to be at room temp, but the whole eggs should. To hurry the eggs along, set them in a bowl of hot, not boiling, water for about 15 minutes. Use quality ingredients. No imitation vanilla or margarine instead of butter. Use cupcake liners so your cupcakes don’t stick. I like to drop the cupcake into a second liner to serve, especially if you have a pretty or festive one that fits the occasion. PRO-Tip: Alternate adding your dry ingredients with the wet ingredients. This helps interfere with gluten formation by coating the first batch of flour with fat. Less gluten means more tender cupcakes! Always start and end with your dry ingredients as stated in the recipe. Do not over mix the batter. Again, you don’t want to encourage gluten formation. Once the dry ingredients are mixed in, the batter is ready to scoop into your cupcake pans. PRO-Tip: Use a 1/4 cup scoop to divvy up the batter. This will help keep your cupcakes a consistent size. Do not over bake or your cupcakes will be dry. Insert a toothpick into the middle of your cupcake. If there is no batter or just a couple moist crumbs when you remove it, your cupcakes are done. If cake is your preferred dessert, you must check out my Best Loved Cake Recipes, this Festive Confetti Layer Cake, and this Lemon Layer Cake with Lemon Curd Filling! I like the way your hubby thinks! These look perfect! Gosh, Lizzy! These cupcakes are gorgeous! I am not too crazy over icing but I love how they look. Your swirls are fantastic. Bill is a lucky man! These cupcakes look incredible Liz! I love how pretty and fluffy the frosting is and white chocolate always gets me every time 🙂 These would get devoured quickly at our house too. I love how simple and yet extremely pretty these are, Liz! And the mix of meringue and white chocolate in the frosting sounds incredible! 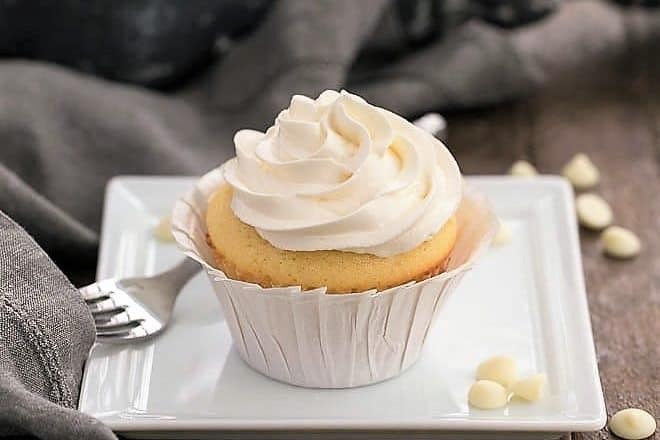 What a beautiful cupcakes and the white chocolate frosting it looks so perfect on this vanilla cupcakes! Bet these cupcakes were gone in seconds! Happy belated bday to Bill! Was it on Easter? That would be a double celebration! Oh my Liz, they do look and sound exquisite, the white chocolate buttercream totally sounds like it’s worth the splurge. Happy birthday wishes to Bill. White chocolate is one of my absolute favorite things in the world. I can’t even imagine how good that frosting is. Glad we’re on the same page, I rarely ever make cupcakes. There’s something so much more satisfying about a giant hunk of cake to me. Look delicious as usual 🙂 I love white chocolate frosting! Oh, man, these cupcakes look awesome! I want one right now! Such pretty cupcakes, I have to try your white chocolate buttercream! Vanilla and white chocolate?! De.lish!! These cupcakes look delicious! I could never choose a favorite between cupcakes and cookies – that’s like choosing a favorite child, which I hear is a no-no! Love the extra white chocolate chips on top! I could devour a plate of these too! Oh, Liz, what great birthday cupcakes! I Must eat a dozen of those little sins! Love the swirls of frosting! White Chocolate is my fave and I know this recipe and I are going to be great friends. I think Bill made a wonderful choice – these look amazing! And I love that they’re mini as a whole cupcake like this can be too much but these are perfect to have one now and another later. Hope you had a lovely Easter Liz! These sound wonderful Liz and the buttercream I’m sure I’d probably just lick off saving the cake for last. 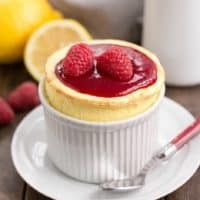 Great recipe and photo. I’m trying to figure out what’s going on with my RSS feed. I’m not getting posts from you and everyone else sent to my box. I’m sure it’s on my end but don’t know the cause of it. If’ you don’t hear from me that’s why. But will try to get to everyone I can. Hopefully I’ll get it fixed soon. 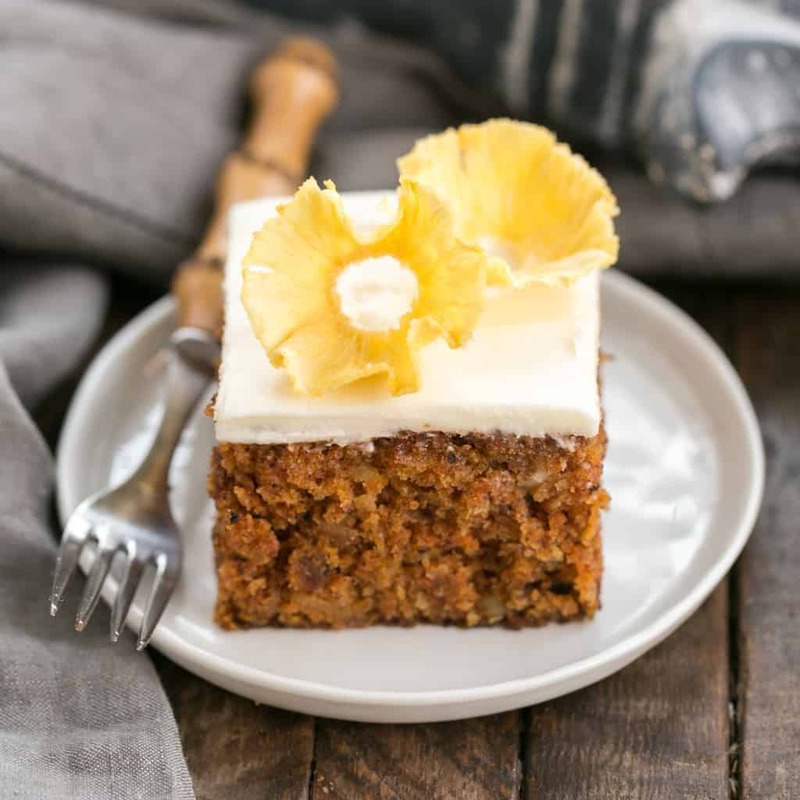 I would think your family would come up with plenty of reasons to celebrate to get one of your yummy desserts. Bill is one lucky man. These look delicious. I have that cookbook and now I want to go make a chocolate dessert! 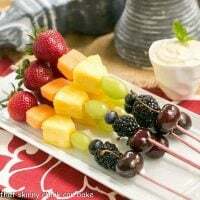 These look sooo, delicious. Your family must have been in heaven. We took our kids to SF not too long ago and went to Ghirardelli. Now, every time they see a Ghirardelli label they say how much they want to go back. How can you not love being surrounded by all that chocolate?! Gorgeous cupcakes, Liz. Love love that white chocolate frosting. What a great birthday selection! That swiss meringe buttercream sounds amazing. I have to try it out sometime! Your cupcakes look quite exquisite and, if I may say, very lick able! These are lovely and that frosting looks amazing! They would be devoured quickly at my house too! Gorgeous cupcakes! I love making them and I adore buttercream but funny enough I have never tried the swiss meringue buttercream. I have to try them for sure! You are so good at making things look perfect, Liz! These look incredible! How do you make that frosting sit so nicely? 🙂 These cupcakes are such a nice classic treat! Love vanilla on vanilla mixed with white chocolate in and on top of the cake. Thank you for sharing this recipe, Liz..And thank you too for putting another must-have cookbook on my wish list! These are awesome Liz, I love white chocolate and these cupcakes are just the right type for me. Gorgeous frosting. You can never go wrong with cupcakes when they look as gorgeous and beautiful as these! Yum! Vanilla can be such a great change from chocolate. With twins, it was kind of funny. for a long time, my daughter preferred vanilla and my son, chocolate. Luckily though, we converted her! Though anyone in their right mind would devour these! Happy birthday, Bill! It’s all about that icing, isn’t it? It makes an ordinary cupcake into something special. Happy birthday to Bill. You have crazy awesome piping skills, Lizzy! When I was a kid I wasn’t interested in any cupcake that wasn’t chocolate, but now I’d much rather have these gorgeous little vanilla cupcakes. I’m always searching for a good vanilla cupcake and I’m printing this out so that I can try it, Liz. I love the white chocolate buttercream you used here. Happy belated birthday to Bill! I like that he insists on celebrating. The Husband and I rarely hold parties for our birthdays but all of our friends do so we’re now determined to force everyone to celebrate with us, lol. These cupcakes would be the perfect sweet treat! Happy Birthday Wishes to Bill! 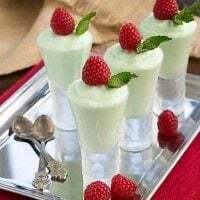 These look absolutely delectable. 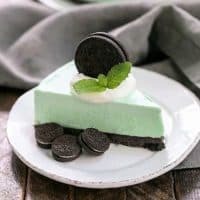 Just found this recipe and can’t wait to make them. May I ask what tip you used for the frosting? I really loving it. It is so beautiful. I’m such a huge fan of white chocolate so these cupcakes have my name all over it! I absolutely love white chocolate so these cupcakes have my name all over it! I’ve been looking for a good vanilla cupcake recipe and this looks perfect. Can’t wait to make it! Ah….these cupcakes are so dreamy! looks stunning! Absolutely love these Lizzy! Have a nice Sunday! I’ll put my order in now for my birthday. These would be my choice too, they sound and look amazing! Could I have one right now? I’ve just put the kettle on. These look perfect! I’m a white chocolate fan, and vanilla cake is my favorite. I wish I could have one of these right now. Absolutely heavenly! Can’t stop staring at those sweet creamy swirls of delicious frosting. These are now my go-to cupcake recipe! I love that buttercream! So dreamy and delicious! Your Swiss Meringue icing is amazing! This was dessert perfection!! I have to make these! I could eat 2 or 3 of these right now. 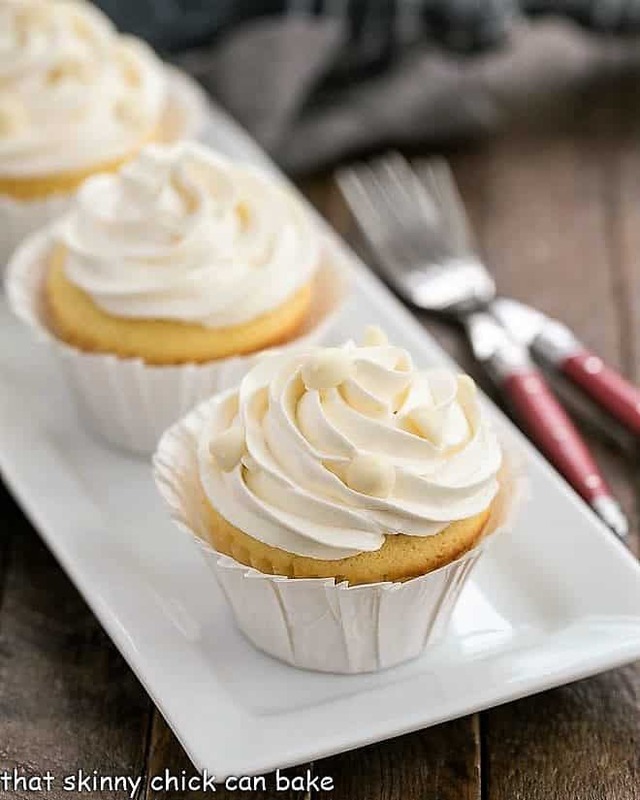 These are truly the best vanilla cupcakes, they are so soft and sweet! I love the white chocolate buttercream! 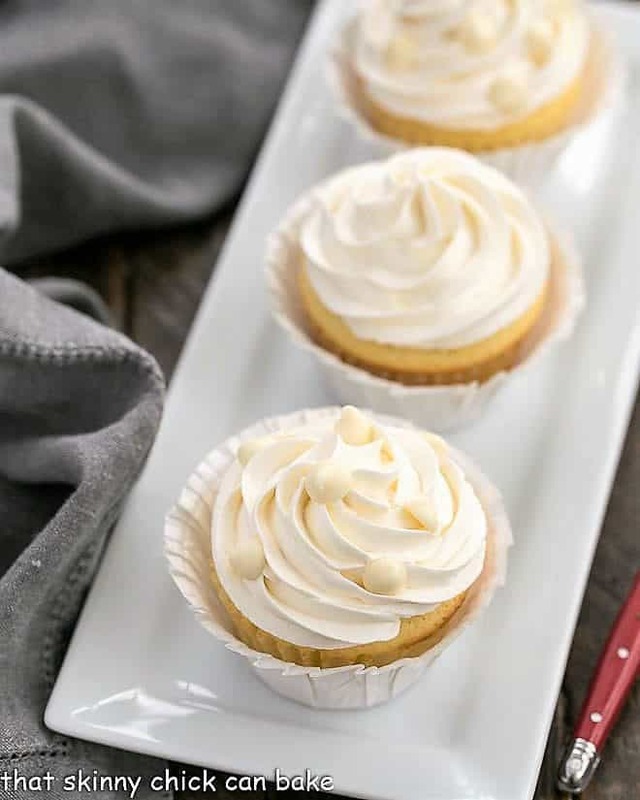 It’s a great addition to classic vanilla cupcakes. I adore white chocolate, and these cupcakes really hit the spot! Would make again!